Once in a while, or in our case frequently, the people you need to meet just show up in your life by accident and it is only in hindsight that you understand exactly why. 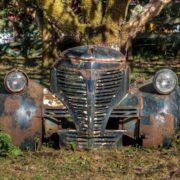 In one of these cases, we were fortunate enough to get a phone call from someone who saw some rusty vehicles in the yard here at Drivers Welding and asked if they could stop by and take some pictures for a project they were working on. 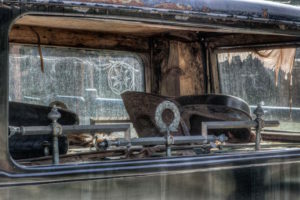 Little did we know that Scott and Laurie from Toad Hollow Photography were not only talented but shared our love of all things old and rusty. Scott, Laurie and I also share a love of old churches and when you check out their website be sure to browse the picture galleries of all things new and old. 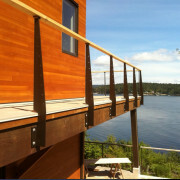 You can also order pictures directly from their website if something catches your eye or your heart. 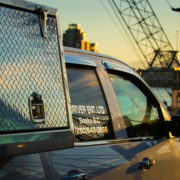 Things can change on a weekly basis at Drivers Welding and we never know what type of welding, fabricating jobs or vehicles are going to come into the shop. Everyday is a new adventure involving some form of metal and no job is too big or too small. It is a life we feel blessed to have and the wide variety of people we get to meet makes it even better. Some people come and go quickly, while others stick around for a bit and we get the opportunity to know them on a more personal level. So, a Saturday afternoon drive by the yard and a phone call brought Toad Hollow Photography to the property and not only did we gain two new friends but a company photographer as well. We were discussing our plans for the new shop here called Four Acres of Rust and they were just as excited as we were. 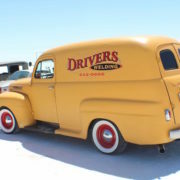 This new shop opening at Drivers Welding will sell car parts, accessories and vintage parts to start out, with more rusty and wonderful things being added as the business progresses. Scott and Laurie are not only passionate about their business and art but what other business people on the island are doing as well and are always willing to support them and share information. So don’t be shy, check out their website and follow their photographic adventures via their blog and let them know Miss Daisy sent you! There seems to be two schools of thought in the vintage car world. 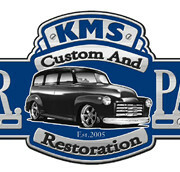 Some people like to restore things to their former glory with shiny new paint, polished chrome and decadent interiors. 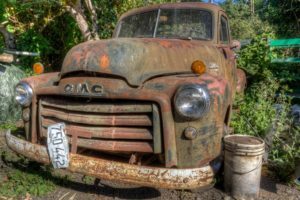 Then there are those who like to keep it simple and see the beauty in the faded patina, rust and dents. It is obvious what school of thought the owner of this beautifully weathered truck belongs to. I have to admit that I have had the pleasure of riding in the truck and would buy it from Bud in an instant. I was so excited when we parked and used the air bags to lower it to the ground like a resting old giant. Like Bud, I immediately fell in love the moment I saw it sitting there at Driver’s Welding. In fact I love the truck so much I am on the hunt for one. It will be similar to Buds in the sense that it will be sitting on a newer frame, bagged, and left rusty but it will definitely have a Miss Daisy twist. I am just not sure what that will be until I meet the truck. So what do you think, rustoration or restoration? I think that Bud’s 49 Chevy with its stock engine sitting on an S10 frame with air bags is a piece of art on wheels. 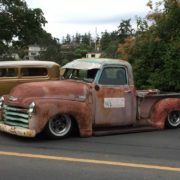 There is something about the trucks and cars from the late forties and early fifties that appeals to the artist in me. The unique lines and stance of these vehicles gives each one a personality and leaving them unrestored on the outside, in my opinion, helps that personality stand out. So if you need some lake pipes, a new rear end, air bags or something else done to your vintage vehicle or hot rod check out Drivers Welding and tell them that Miss Daisy sent you. You can always phone and talk to Shawn about your project, but I recommend you just drop by instead and check out the four acres of rust!